International travelers were reporting delays at airports around the country on Monday, because of an outage affecting U.S. Customs computers. One tweet showed long lines at Houston's Bush International. 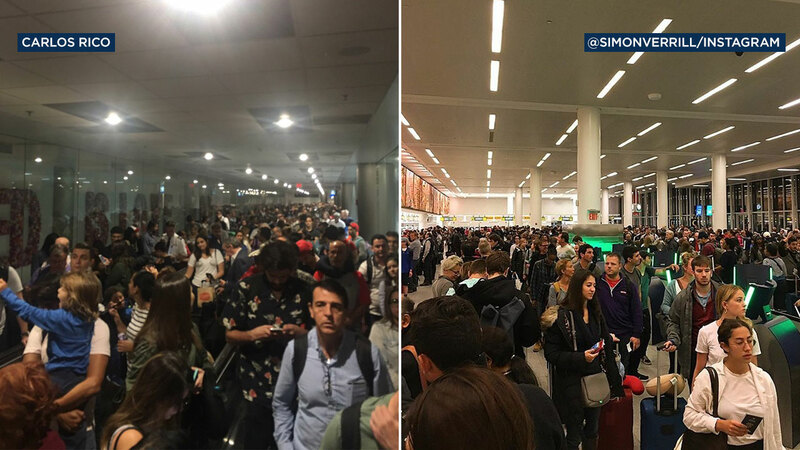 On Twitter, people were sending out photos of hundreds of people in line at airports in Miami, Atlanta, New York, Washington D.C. and elsewhere, describing the situation as a "nightmare" and trying to figure out what was happening.